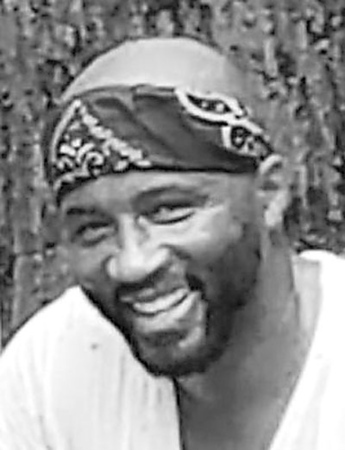 Julian Ramon Judge, 40, of New Britain, husband of Natasha Judge, passed away unexpectedly on Sunday, March 31, 2019. Born in New Britain, he was a lifelong resident and was employed at ELG Utica Alloys. Julian had a great love for the outdoors and enjoyed the outdoors most when pursuing his passions of cooking and landscaping. He was a member of Grace Church in New Britain. Surviving are his wife, Natasha (Edite) Judge; three children, Julian Judge Jr., Ava Judge, Johan Judge; his parents, Charles Judge and Paulette “Renay” Blair; his brothers and sisters, Latuana “Sherri” Blair, Shauron Judge, Veronica Blair, Amayr Barnett, John Judge, Sr., and Cameron Judge; his step-mother, Brenda Judge; and his grandmother, Elvira Blair. He was predeceased by his grandmother, Beatrice Judge Robinson. A Home Going Celebration will be held on Monday, April 8, 2019, at 11 a.m. at St. James Missionary Baptist Church, 45 Daly Ave., New Britain, with the Rev. Thomas Mills officiating. Burial will be in Mount St. Benedict Cemetery, Bloomfield. A calling hour will be held on Monday morning, from 10 a.m. until the time of the service at the church. Erickson-Hansen Funeral Home is in charge of arrangements. Please share a memory of Julian with the family in the on line guestbook at www.ericksonhansen.com . Posted in New Britain Herald, on Friday, 5 April 2019 13:05. Updated: Friday, 5 April 2019 13:07.